Chief Carl Povilaitis was appointed to Police Chief on May 1, 2018. He has been serving the Glendale community for the past 27 years. 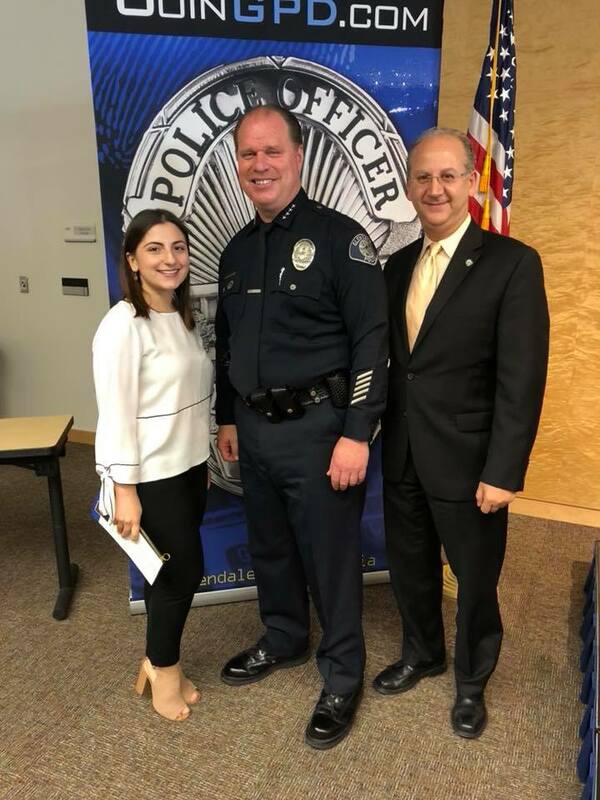 He began his career in law enforcement with the Glendale Police Department in 1990 after graduating from the Los Angeles Sheriff’s Academy class 267 in February of 1991. After Graduating from the academy, Carl was assigned to the Field Services Division where he worked in Patrol. He eventually transferred to the Investigative Services Division and completed a tour in the COPPS Unit focusing on community policing and problem solving. He was promoted to Sergeant in 2001. In 2002, he transferred to the Support Services Division where he supervised the Glendale Police Department’s Air Support Unit until he promoted to Lieutenant. He served as the Traffic Bureau Commander where he was responsible for traffic enforcement, parking enforcement, and major/special event planning for the City. In 2009, he assumed the duties as the Special Operations Division Commander to begin the process of developing the DNA lab and the Information Lead Enforcement and Accountability Data Project. Carl was promoted to Captain in 2010 and has overseen all major divisions of the Police Department. In 2013, Carl was promoted to the rank of Deputy Chief of Police. Carl obtained an Associate’s Degree in Administration of Justice from Monterey Peninsula College, a Bachelor’s of Science in Criminology with an emphasis in Law Enforcement from Fresno State, and a Master’s Degree in Public Administration from the University of Southern California. He is also a graduate of the California Commission on Peace Officer Standards and Training Command College Class 45. Carl participates and volunteers for a number of clubs and non-profit organization boards within the community. He serves as Board Member for the Glendale Educational Foundation, the community board of Glendale Memorial Hospital, and is an Associate Board Member of the Glendale Chamber of Commerce. He served as a Commissioner representing the City of Glendale on the Burbank-Glendale-Pasadena Airport Authority from 1999-2009. He has also serves as an Adjunct Faculty Member at Glendale Community College.